A Wasserson Design home audio/video system is more than just a TV and a couple of pairs of speakers. Its an easy-to-use addition to your lifestyle that streams your favorite music, TV shows, DVD's and movies to every room in your home. 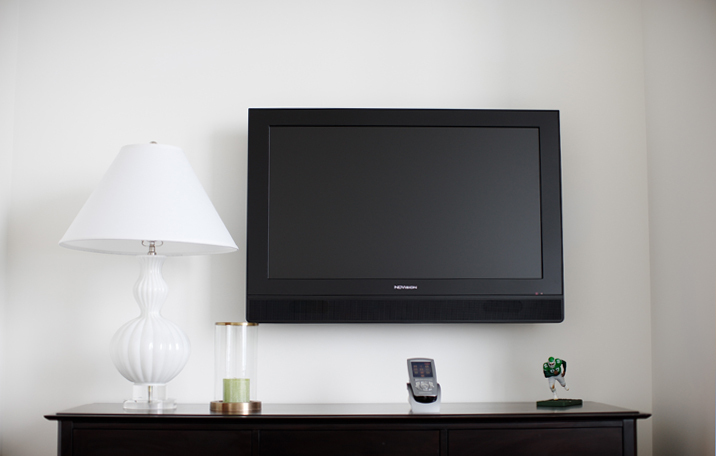 Using simple iPad and touchscreen controls, our integrated a/v systems make it easy to enjoy music in the kitchen, high-definition video in the den, and streaming internet radio in the rec room. We connect all of the many audio, video, media and internet techologies that exist today and make them easy to use and enjoy wherever you are in your home. Starting with a free consultation, our installation experts take every aspect of your home and lifestyle into consideration as they design your system. Then, we work carefully in your home to install your system, collaborate with your decorator or contractor, and fine-tune your system to give you the best home audio and video experience possible. Our experienced team has a passion for audio, video and touchscreen control technology, and it shows! We enjoy working together with our clients throughout the design and installation process to make sure that the end result is an audio/video system that's easy to use, enhances your lifestyle and brings value to your home.